My name is Alison Kelly and I own this website. I want to give you an opportunity to get to know me a little and learn a bit about the history of this site. 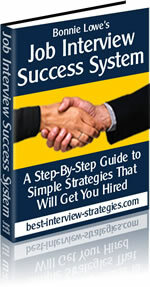 I became the owner of Best-Interview-Strategies.com in early 2012. It was previously owned by two human resources experts with extensive experience in recruitment and job placement. Bonnie Lowe initially developed the site. She's an established author in the field of jobsearch and recruitment. I've agreed with Bonnie that I can still bring you her wealth of experience via the Job Interview Success System she created. The next owner of the site was Carla Bosteder. Carla worked in the Career Planning and Placement center at Southern Illinois University (Edwardsville) while working toward her Bachelor's degree in Business. After that, she worked in human resource positions in a variety of companies, wrote a book about resume writing and ran a successful resume advisory service for many years. 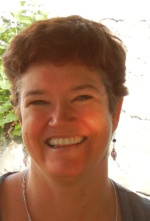 Carla's ebook about resume secrets is also available to you via this site. Carla and I remain in touch. So if you ask me any tricky resume questions, I'll be referring them to her as my expert resume consultant! What do I bring to this website ... and to your success in getting the job you want? Well, I have lots of experience sitting on the other side of the interview table ... as a Hiring Manager. I'm a team leader within a large organisation, and manage a team of more than 40 people. I've regularly been a member of interview panels for more than ten years. In the last two years, I've managed a section that has been growing very rapidly. Therefore, I've been directly and recently involved in recruiting for more than 20 positions. I think I now know a lot about the best interview strategies, from the perspective of what an employer is looking for in job candidates. I hope to share some of my thoughts for interview success with you in the regular newsletter for users of this website. Plus I plan to bring you ideas from a wide range of recruitment and career planning experts. You may be wondering ... if I have a senior management job, why do I want to own this website? Well, my interest in websites started as a hobby. Like many people, I wanted to learn about making money online. I stumbled across Solo Build It!, a company with a fantastic system of helping people create profitable websites. Bonnie, Carla and I all use Solo Build It, and we love it. I've since learnt so much about creating and running websites, and ways to provide help to a much larger group of people than I can do in person. My long-term goal now is to build an online business to sustain me in my retirement! So that's a bit about me. Thanks for visiting this site. If you take the time to look around, I know you'll find valuable information to assist you in your job hunt, whatever position you're aiming for. Best wishes for your success and good luck in your next interview! Alison.